18-Year-Old NYCB Apprentice Naomi Corti Talks About Her Big Break in Forsythe's "Herman Schmerman"
Naomi Corti in William Forsythe's "Herman Schmerman." Erin Baiano, Courtesy NYCB. When audience members opened their programs at New York City Ballet's revival of Herman Schmerman a few weeks ago, one name had everyone buzzing: Naomi Corti. Just an apprentice, she was dancing a featured role alongside principals and soloists in William Forsythe's challenging, go-for-broke choreography. How was this going to go down? Quite well, actually. Despite a nasty fall at the beginning of the ballet, 18-year-old Corti held her own next to castmates Sara Mearns and Unity Phelan—and didn't hold back during her solos and partnering sections. When she stepped forward to take her bow, the audience cheered wildly; her reaction was a mix of shock and utter joy. Still, we couldn't help but wonder what kind of pressure she must have been under. 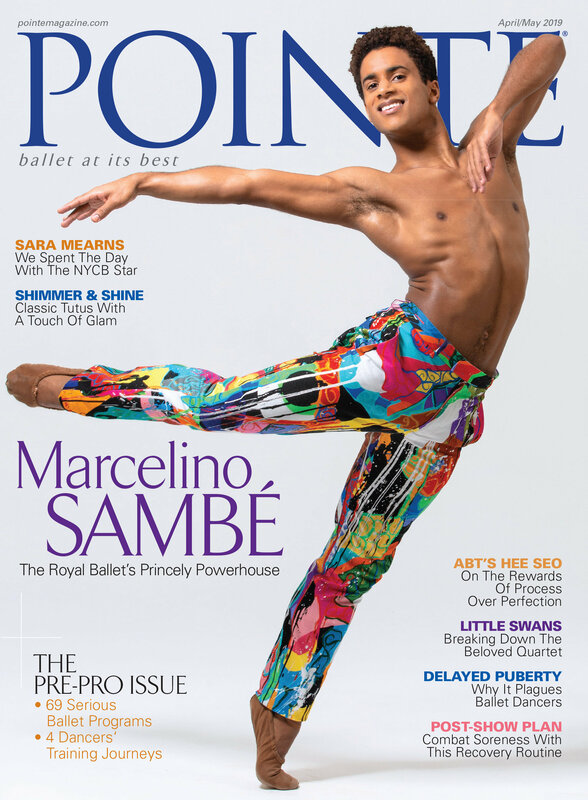 NYCB has a history of giving young apprentices big breaks. Current corps members Miriam Miller (as Titania in Balanchine's A Midsummer Night's Dream) and Alston Macgill (in a featured role in Symphony in C) both had opportunities to shine during their apprentice years. So how does it feel to take on a big role so young? We talked to Corti to find out.